The National Thoroughbred Racing Association (NTRA) has secured language in Unlawful Internet Gambling Enforcement Act (HR 4411) to protect Internet and account wagering on horse racing. The bill passed out of the House Financial Services Committee this morning. HR 4411 was sponsored by Congressman Jim Leach (R-Ia.). "We are pleased that HR 4411 passed through the Financial Services Committee and look forward to working with Congress on issues relating to Internet wagering," said the NTRA's Gregory C. Avioli, who spearheads the Association's legislative efforts in Washington, D.C.
A second I-gaming bill, the Internet Gambling Prohibition Act (HR 4777), introduced by Congressman Bob Goodlatte (R-Va.) and having more than 100 co-sponsors, will likely be considered next. The NTRA worked with Congressman Goodlatte to ensure that HR 4777 also contained language that protects online and account pari-mutuel wagering. It is feasible that HR 4411 and 4777 may be combined. 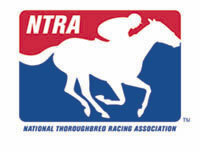 For more information about the NTRA’s legislative programs, visit www.SupportHorseRacing.org.